Vehicle Leasing in London is becoming an increasingly popular option for individual motorists and businesses who want to save money and get their finances into gear in these cash-conscious times. Owning a new car can mean your investment loses money more quickly than a leaking hub cap and, although buying a second-hand vehicle is cheaper, there’s the constant worry of failed MOT’s and depressingly regular repair bills to consider. These factors, combined with congestion charges in the city, can add up to a huge financial burden for drivers. But, don’t get the pushbike out from the garage or saddle the horses just yet – First Vehicle Leasing has the answer, with a wide range of vehicle leasing options to get you or your business back on the road. For many drivers, the joy in purchasing a new vehicle lies in being able to choose a favourite colour or style and then personalise the vehicle to make their mark on the road. Vehicle leasing still offers the same flexibility and, not only that, drivers can stay in pole position by upgrading to the latest model after a few years – meaning they’ll always be the talk of the town. Repair bills? Forget them – these are all covered by the monthly leasing fee, meaning there are no unexpected and unwelcome costs to stall your plans. 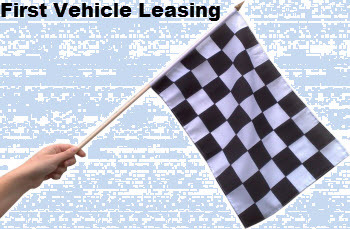 First Vehicle Leasing has strong links with most of the UK’s leading finance companies and a wide range of world-renowned car manufacturers. As a result, the trained, experienced team is able to negotiate the best possible deals for customers at very competitive rates. When it comes to insurance – that other bugbear of the modern motorist – customers can rest assured that a Guaranteed Asset Protection (GAP) plan will have them covered should their vehicle get damaged or stolen while being leased. According to research published on http://carcrimeuk.blogspot.co.uk/ last year, the most popular vehicle for thieves was the Ford Transit, meaning it’s not only drivers of prestige vehicles who need to be vigilant. Thankfully, GAP insurance protects motorists choosing vehicle leasing in London from any unfortunate incidents without landing them with a hefty bill to add to their woes. Vehicle leasing is an ideal way for motorists to drive the car of their dreams without the financial nightmare associated with buying a new vehicle. Call a member of the friendly team at First Vehicle Leasing on 0800 298 2030 today or see our latest Vehicle Leasing Special Offers to find out how you can step up a gear and save money. This entry was posted in Car Leasing and tagged car, congestion charges, First Vehicle Leasing, ford, Ford Transit, GAP, horses, London, LS, MoT, motorists, special offer, UK, Vehicle Leasing, Vehicle Leasing In London by Mark.Hughes. Bookmark the permalink.